Two Double Beds... 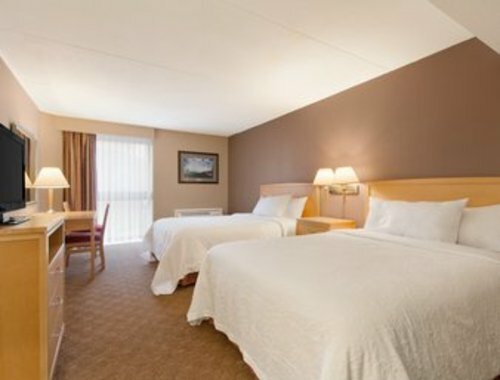 Enjoy this spacious newly renovated room, with all new bedding, furniture. Walking distance to beautiful Niagara Falls, casinos and other major attractions. Our standard room with two double beds, offers comfortable accommodations. INDOOR Pool, Sauna, and hot tub. Coffee available in the lobby 24 hours, also included is a $15.00 voucher for IHOP Restaurant and $20.00 Outback Steakhouse Dining Voucher. Two Queen Beds... 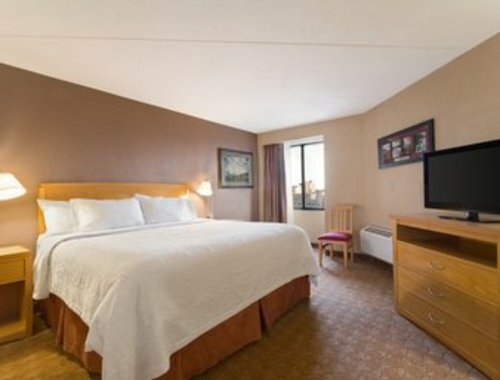 Enjoy this spacious newly renovated room with Two Queen Beds, including new mattress, bedding, furniture, and satellite television. This room offers comfortable accommodations. INDOOR Pool, Sauna, and hot tub. Coffee available in the lobby 24 hours, also included is a $15.00 voucher for IHOP Restaurant and $20.00 Outback Steakhouse Dining Voucher. King... Newly Renovated Suite with One King bed. This spacious room offers comfortable accommodations. INDOOR Pool, Sauna, and hot tub. Coffee available in the lobby 24 hours, also included is a $15.00 voucher for IHOP Restaurant and $20.00 Outback Steakhouse Dining Voucher. King... 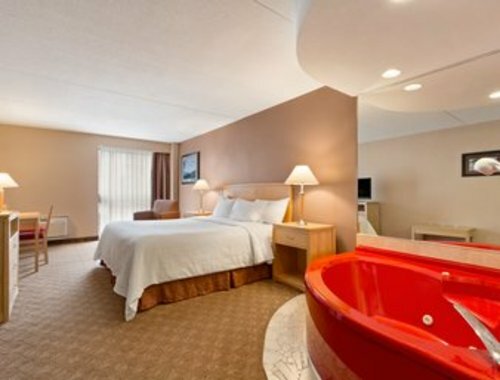 Newly Renovated suite with a King Size bed and Red Oval Whirlpool in the room. This spacious room offers comfortable accommodations. INDOOR Pool, Sauna, and hot tub. Coffee available in the lobby 24 hours, also included $15.00 voucher for IHOP Restaurant and $20.00 Outback Steakhouse Dining Voucher. King... 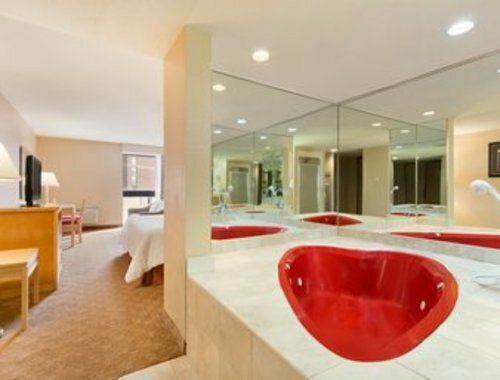 Enjoy a wonderful evening in a King Suite with a red heart-shaped whirlpool tub . 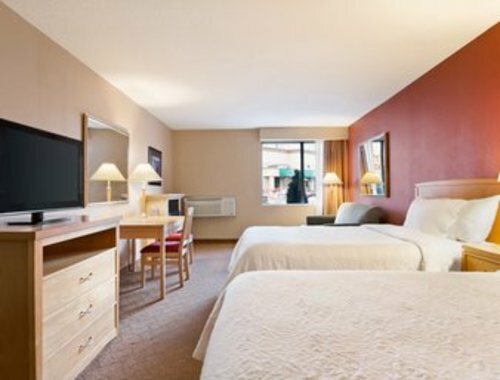 This renovated spacious room offers comfortable accommodations. INDOOR Pool, Sauna, and Hot tub. Coffee available in the lobby 24 hours, also included is a $15.00 voucher for IHOP Restaurant and $20.00 Outback Steakhouse Dining Voucher.